I find that when I see order to things, I feel like I have a little bit of control and it gives me a sense of place. I feel the same way about my Pinterest page. I love Pinterest. I love perusing through all of the pins and taking the ones I find that pull me in or that I want to look at later and placing them in my very own boards. I do not like, however, the way it looks like a jumbled mess on the screen when I am trying to find something. So, I did something about it! I made a custom Pinterest Board cover for all of my boards. If you look at my Pinterest (link is on the right sidebar or click here) you can see that all of my boards have the same cover picture and different titles. I love this. It is very easy to find what I am looking for and is more pleasing to my eyes. You can do this, too! It is really easy! It didn’t take me very long. And I did it in front of the T.V. Create in Canva. 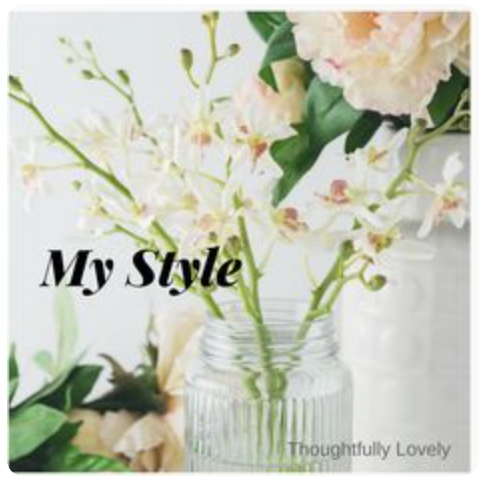 I went to canva.com to create a design. Choose “Create a Design”, and then choose social media design 800 x 800. Choose “Elements” to find an image you would like to use. They have several free images but I liked a particular one and paid $1.00 to use it for the day. You can buy the image for $10.00 for unlimited use, but I just decided to use it for the day and get all of the covers done so I would only have to pay $1.00. Size the image to fit the square. Make sure that the image size you end up with is 800 x 800. Once you have it sized correctly there is a little button on the right of the image to duplicate. Duplicate it to the number of covers you will be making. Download all images to your “download” folder on your computer. Now it is time to add the covers to your boards. Open Pinterest, pull up your account, choose the board you want to add the cover to ex: craft room. After choosing the category, click on “+” (where is says “save pin”) to upload graphic from your download folder. It will ask where you want to get the image from. Go ahead and add your downloaded image for THAT board. The graphic you just made in canva will appear as a pin. Click on the pencil of that pin, rename graphic to name of board by doing the following (example: http//:pinterest.com/yourusername/nameofboard/ ) on the website line. This sets the URL to always be the same for that particular board. Click the pencil on the board at the top, click “change”. Your new graphic just uploaded should come up, click save, don’t worry if it doesn’t show the whole graphic…it will. I got frustrated when I didn’t see it, but then it showed up at the end. Scroll down to bottom and click “save”. Make sure you do this! Refresh page and your new graphic should be saved as the cover for your board. Repeat steps 6 – 8 for every board. Enjoy the beauty of your Pinterest page!! Now all of my boards look like this and I LOVE it! !